The UK Government has released its latest, and last, batch of technical notices on the implications of a "no deal" scenario for UK businesses. There are 24 new technical notices, bringing the total to 77. Topics include; Driving and transport, Farming, Importing and Exporting, Labelling products and making them safe, Meeting business regulations, Regulating energy, Regulating veterinary medicines, Travelling between the UK and the EU. The Prince's Countryside Foundation has published its Recharging Rural Report on the sustainability of remote rural communities. The lack of affordable housing is the top challenge facing remote rural communities, according to new research by the Prince's Countryside Fund. The Conservation Volunteers help hundreds of thousands of people each year to reclaim local green places, through their own environmental projects and through their network of 2,000 community groups. A number of short training courses and workshops covering a wide range of practical, organisational and ecological skills are available to book onto and you will receive a TCV certificate on successful completion of your course. Please see the attached leaflet for full details. Leicestershire County Council and the Woodland Trust invite you to a free Agroforestry and Environmental Farm Enhancements workshop and site visit on 11th October at the Allerton Project, Game and Wildlife Conservation Trust. Full details and booking information can be found in the attached flier. The Leicester and Leicestershire Enterprise Partnership (LLEP), in partnership with Leicester City Council & Leicestershire County Council, have commissioned Element Energy and Cambridge Econometrics to develop and deliver an Energy Infrastructure Strategy and Implementation Plan for the LLEP area. The Energy Infrastructure Strategy will set the level of ambition and guide investment in this sector, which has been identified as one of the LLEP's priority sectors for economic growth. The strategy will identify a set of opportunities for low carbon projects across the LLEP area and will contain an Implementation Plan. The strategy will take into account national and local policies and will be based on extensive research into current energy use and future energy scenario modelling to identify opportunities and barriers to the growth of the sector as well as key priorities and projects. It aims to encourage further engagement and raise awareness of the challenges and opportunities for Leicester and Leicestershire's energy system and will inform the Energy Infrastructure Strategy and, in turn, the Local Industrial Strategy. The Energy Challenge Paper, is an intermediate output and forms a key part of the development of the Energy Infrastructure Strategy. It is based on stakeholder engagement, desk-based research and discussions with the steering board. Stakeholder engagement has been undertaken with a wide range of stakeholders, including representatives from local private and public-sector organisations. It has been carried out through bilateral consultations, email correspondence and a workshop for mostly public-sector organisations. The aim of this paper is to further engage key stakeholders and raise awareness of the challenges for Leicester and Leicestershire's energy system. The LLEP invites partners and stakeholders to respond with their comments on the Energy Challenge Paper by emailing marcin.szymanski@llep.org.uk or andy.rose@llep.org.uk before 31st August. Please see attached a document with a list of grants and funding opportunities for August. Although the information includes grants/funding opportunities for Voluntary & Community Sector Groups and Organisations, Charities and Social Enterprises, we have also included details of grants/funding programmes, which Local Authorities may also be eligible to apply for. For Economic Growth funding (including funding for businesses and EU funding opportunities), please go to the LLEP website. If you have any queries please do not hesitate to contact the LEADER team via email at: eastleicestershireleader@leics.gov.uk or by telephone on 0116 3056298. 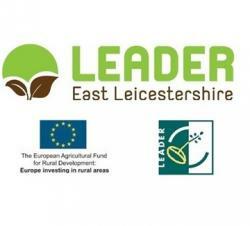 The LLEP Growth Programme - also known as EAFRD (European Agricultural Fund for Rural Development) - is a European funding stream aimed at developing the rural economy. The funding programme is administered by the Rural Payment Agency. Please note that the current deadline for Expressions of Interest is 31st May 2018. Local businesses are being reminded that entries are now open to the 2018/19 Rural Business Awards but only until 31st May 2018 – enter now to showcase your business. The awards are organised by rural business for rural business, with winners in the 13 categories - ranging from Best Rural Start-up and Outstanding Rural Diversification Project; through to Best Rural Professional Services Business and Rural Education or Training Business - decided by an independent panel of judges drawn from the rural business sector, rural public sector agencies, and rural charitable organisations. 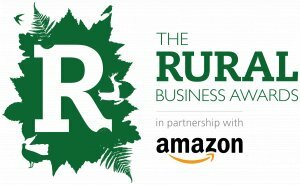 For the first time since launching in 2014, the Rural Business Awards will host a series of regional finals in the North, East, Midlands, South East, South West, Wales and Northern Ireland, throughout October 2018, ahead of the Grand Final next February, where winners from each category in every region will be announced. The entry process is designed to be as simple as possible to support business owners with a limited amount of time. All entries are submitted online and can be edited anytime up until the final entry deadline of 31st May 2018. The entry cost is £50+VAT. The Collaborate project is a business growth programme supporting existing businesses with less than 250 employees, that trade business-to-business, in Leicester and Leicestershire. - Engineering and advanced manufacturing.